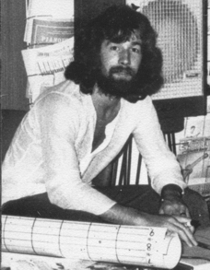 Paul Seymour was born to be a teacher. 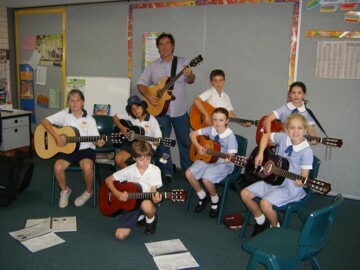 He ran the school successfully for three years, supporting a wife and child, teaching kids how to play and himself how to teach, also employing five other teachers of guitar, keyboards and drums. He worked long hours and often had evening band rehearsals in his own studio, after tuition was concluded. As the seventies were drawing to a close, his marriage was faltering and the call of live performance was too strong, so the music school doors closed forever, as he embarked on a bohemian lifestyle, performing regularly on the Sydney circuit. Twenty years later, after hundreds of live gigs in bands and solo (see ‘History‘), an opportunity arose, to teach adults in evening classes. He often joked that these adults were the kids he didn’t get to teach two decades earlier because their parents stupidly denied them, favouring sport pursuits, instead. 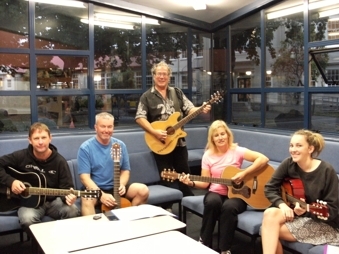 These frustrated guitarists came in droves to Manly Warringah Community College and Paul found himself gainfully employed keeping up with the high demand. These classes also spun off into private groups he taught at home. Over a period of nine years, he taught approximately 1,500 people of all ages how to play guitar. Paul was preparing to record an album of his own songs and had already demoed several of them, when it was suggested that he should record the songs he taught his students. Since several of his clients had brought recording devises to class so that they could remember how the songs sounded when Paul played along with them, it seemed like a good idea. It took six months to fully produce two albums of cover songs, 35 in total, with complete backing of drums, bass, harmonies, etc. It was a massive project but provided a very useful learning tool for hundreds of students after that. 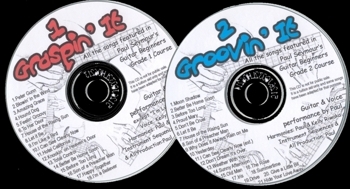 The albums are entitled ‘Graspin’ It’ for the beginners, and ‘Groovin’ It’ for the more advanced students. 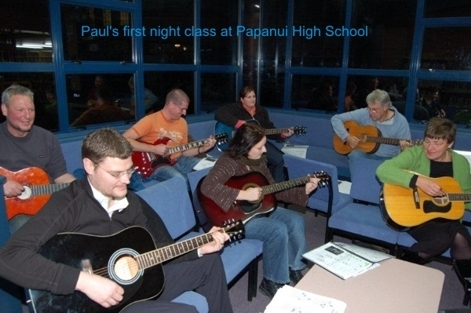 After moving to New Zealand in 2007, Paul ‘tested the waters’ by approaching a community college in Christchurch, to see if they’d be interested in a guitar teacher. They jumped at the chance and once again, Paul was almost swamped with people wanting to know what he knew, and wanting to do what he seemed to do so effortlessly. Now, another eight years have passed and, as well as guitar and vocals, Paul also teaches the ukulele, which has been gaining popularity over the last few years, since the ukulele version of Judy Garland’s ‘Somewhere Over the Rainbow’ became popular. 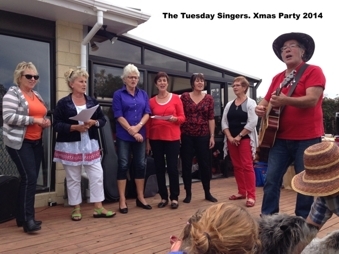 One of Paul’s private groups of singers have reached a high standard of performance, including complex harmonies and have performed at a number of parties and gatherings. Paul now runs vocal workshops for the Community College, as well. 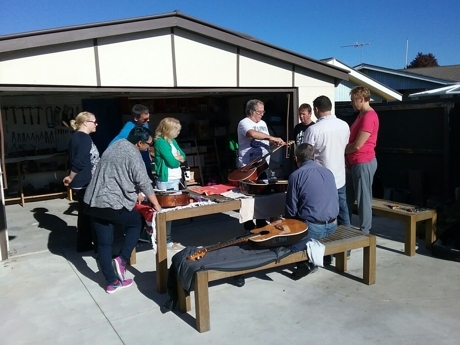 To add to Paul’s resume of teaching skills, he has now included Guitar maintenance workshops.